While trade shows and conventions are an important venue for promoting your San Jose or Silicon Valley business, they are also time-intensive and demanding events for you and your employees. Preparing your brochures, business cards, displays, electronics, and other promotional items are just a small piece of the complex puzzle. You still need to pack your belongings, transport them to the event location, and setup your booth—and then reverse the process once the show is over. Wouldn't it be nice to have some help? As experienced trade show movers since 1985, Valley Relocation & Storage has provided professional convention moving services for businesses of all sizes, and we're well-versed in every aspect of trade show moving. 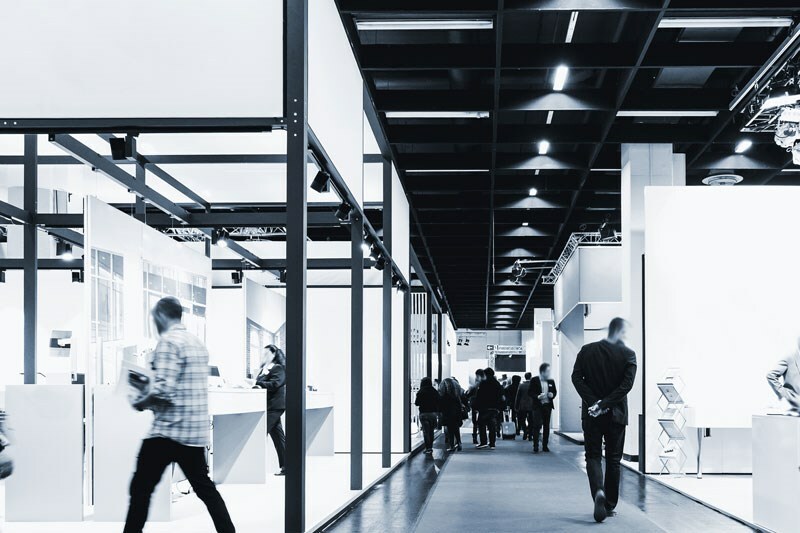 Whether you're gearing up for TECHSPO, BIOMEDevice, Comic-Con International, or one of the other leading technology trade shows, we have some helpful tips to make your next expo or convention hassle-free—from start to finish. You certainly have a lot to accomplish prior to a trade show or convention. When you work with a professional moving company, many of the details can be fleshed out well in advance thanks to the assistance of an expert Move Coordinator. These treasured individuals will help you create a customized plan based on the moving company's available services—and answer any questions that arise along the way. Think of them as the concierge at your favorite hotel or resort. What would you do without them? Unless you have a vast amount of unused space in your office, it makes perfect sense to utilize commercial storage services to safeguard belongings that you use specifically for trade shows and conventions. Not only are all of your items all in one location, you can access everything quickly and conveniently when the next event approaches. Likewise, many professional moving companies are agents for worldwide transportation companies, and are capable of providing logistics, warehousing, FF&E, and high-value product moving services. Are you ready for a seamless, hassle-free trade show move? Reach out to our expert technology moving company to make your next trade show or conference the best you've ever had! Give Valley Relocation & Storage a call today to speak with one of our talented trade show moving specialists, or fill out our simple online quote now form to request a no-obligation estimate.